Very Simple and healthy dish to little ones... :)Can use any vegetables as your kids like. 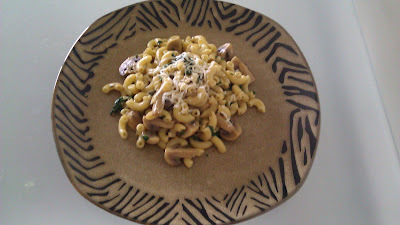 Cut the mushrooms in to bite size pieces.Wash & chop the spinach. Then directly add mushroom & spinach. Add bit salt,don't close the lid.Mushroom & spinach will lose water so,it'll cook soon. 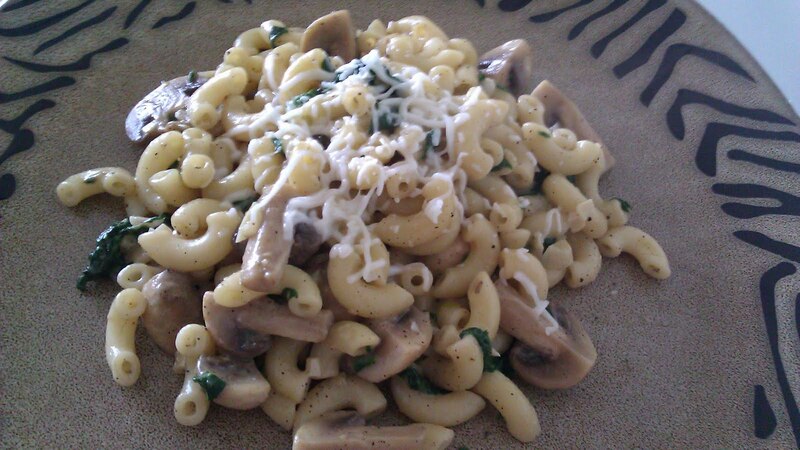 Once mushroom came tender,add cooked pasta,give a nice mix. Pour milk,& cook till get evaporates . 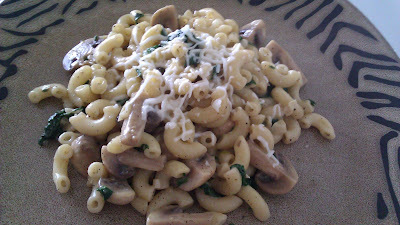 Take some Pasta in plate put some cheese on top and serve. oh nice way to sneak in vege and green in the plate.. pranav ... usharu da..